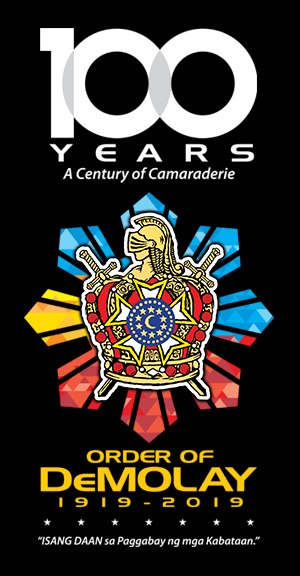 In line with worldwide celebration of the 100th Year Founding Anniversary of the International Order of DeMolay and as part of the holding of the DeMolay Centennial Week in the Philippines, Grand Master Edison Abella and Past Grand Master and Incumbent Grand Treasurer Rodel Riezl Reyes of the Supreme Council, Order of DeMolay (SCOD), together with Past Grand Master Greg Kimberling of DeMolay International (U.S.) and National Master Councilor Datu Pax Ali Mangudadatu of the National DeMolay Congress, traveled from Cebu to Bohol Island to be the special guests during the Nationwide DeMolay Centennial Family Day, hosted by Dagohoy Chapter (Tagbilaran City) and Datu Sikatuna DeMolay Alumni Chapter No. 54 held on March 10, 2019 at Dumaluan Beach in Panglao Island, Bohol. The affair was attended by SCOD’s Executive Officer for Region VII-B, Brother Chevalier Frederick Matig-a; Master Masons of the Sponsoring Body, Dagohoy Masonic Lodge No. 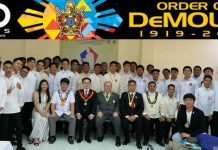 84 and its Advisory Council, led by its Worshipful Master and Chapter Advisor, Brother Othoniel Galia, Jr.; together with the Senior DeMolays of Datu Sikatuna DeMolay Alumni Chapter No. 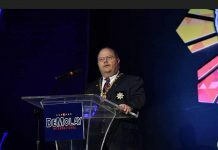 54, headed by its Chapter President, Brother Nathaniel Galia, and the Active DeMolays, led by its Master Councilor, Brother Harmon Pondoc, including some parents of the DeMolays and immediate family members of the Master Masons. 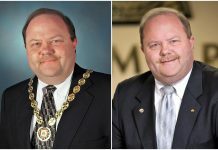 ISC Past Grand Master Greg Kimberling was treated with a surprise “Boodle Fight” dinner by the DeMolay Chapter but he later on confessed that he had to “google up” ahead of time what the boodle fight was all about. 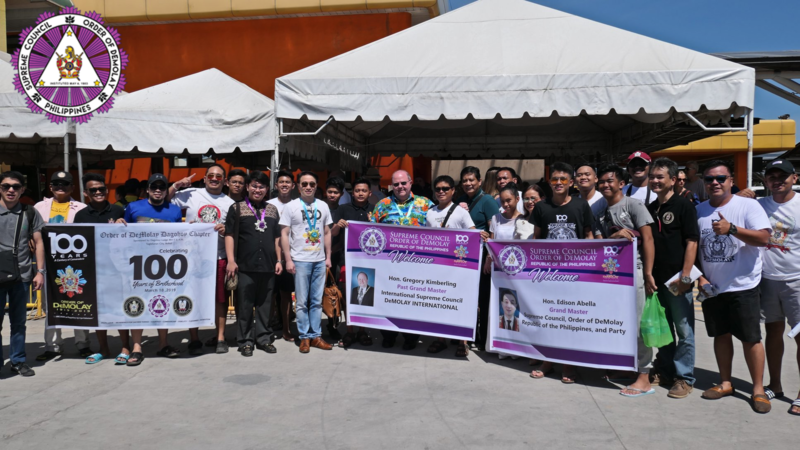 As a gesture of appreciation for the efforts made by the DeMolay Chapter to host the special affair, Grand Master Abella presented and awarded the Louis Gordon Lower Centennial Fellow to Brother Harmon Pondoc, Master Councilor of Dagohoy Chapter. 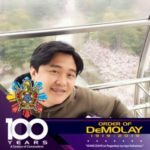 Thus his name will be etched in the DeMolay Centennial Marker that will be permanently installed at the Philippine DeMolay Youth Center in Manila. GM Abella also turned-over the collars and medallions of the Frank S. Land Centennial Fellows for distribution to the concerned Master Masons. 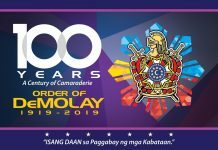 Other DeMolay Chapters in the country also organized and conduct their own respective National DeMolay Centennial Family Day activities on that same weekend.